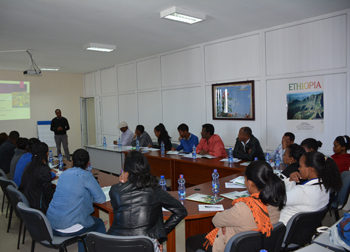 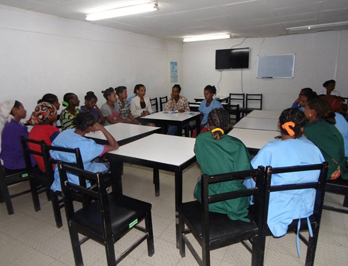 The Ethiopian Horticulture Producers and Exporters Association (EHPEA) designed a project ‘Empowering the Source’ in order to address Gender and health concerns of men and women workers on the sector. 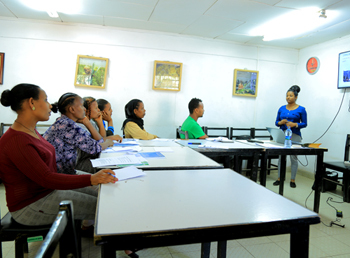 EHPEA implemented this project in partnership with Business for Social Responsibility (BSR/HER Project) and the Sustainable Trade Initiative (IDH) – Floriculture Sustainable Initiative (FSI) sponsors the project implementation to advance the sector. 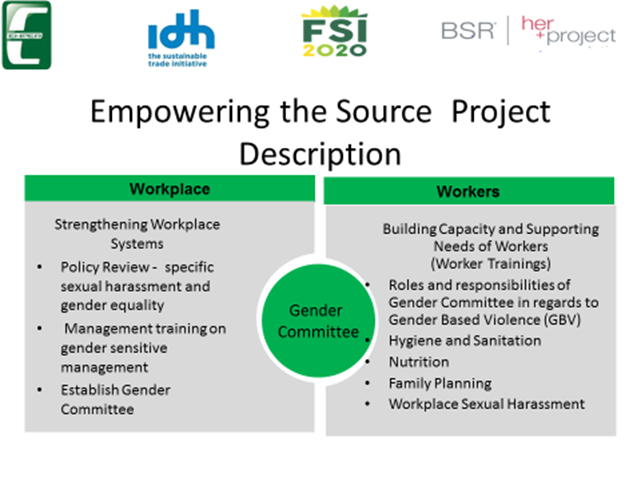 The project ‘Empowering the Source,' includes three work streams: enhancing female and male staff health and welfare, promoting gender-sensitive management at the farm level, and engaging farm and other stakeholders to address sexual harassment and gender-based violence (GBV) at farms' their vicinity.